We received a request early this summer for a donation quilt by a concerned party for a family dealing with a serious health issue of their infant son. 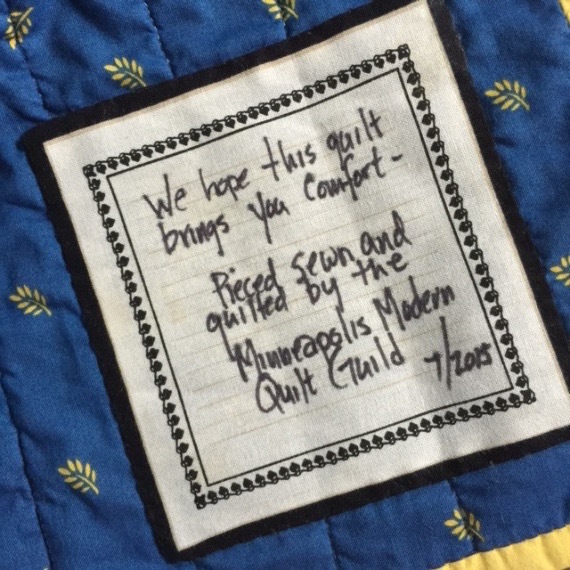 Our guild had put together a fitting quilt for donation at an earlier time and set it aside waiting for such an occasion. The quilt was sent to the family representative and was presented to them on our behalf. The family was greatly touched that others would so graciously remember their difficult loss. It is heartwarming to know that our efforts can be focused and our skills shared to aid others and is so appreciated. The Charity Committee of MMQG formally began this summer. We have a donation table at each meeting and have happily accepted many orphan blocks, fabrics and backs. The committee put out a call for low volume plus blocks (see blogpost from 6/20/2015 for more information). We are still in need of many more plus blocks in order to complete some planned quilts. THANK YOU to everyone that has contributed so far! We appreciate all of you that have responded, sewn or cleaned out, and donated. 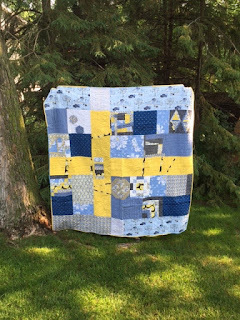 The Charity Committee will be meeting on 6pm-8pm on Tuesday, September 29th, at the home of Jan H. We will be sorting the donations and putting together a plan of completing quilts for future donation. If you need the address, please private message Jan. 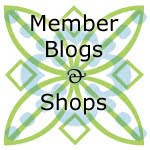 If more MMQG members would like to join us or become a member of the committee, please do!